This is a perfect combination of Ayurvedic herbs which work for all types of Arthritis. There are various types of arthritis but the combination of these 2 herbs works best for all types. 1. Boswellia-Curcumin in Rheumatoid arthritis – According to modern medicine, Rheumatism is an auto-immune disorder in which the anti-bodies affect all body joints leading to pain and inflammation. It is so severe in some cases that the patient develops deformities and the pain is severe. The usual treatment with Nonsteroidal anti-inflammatory drugs is given in the beginning, which has its own drawbacks. Later on, if the disease is not controlled and the pain is not relieved, then the Disease modifying agents called DMARDS, Immuno- suppressants, ( Gold, Chloroquine, Salazopyrin, Methotrexate ) and Steroids like Prednisolone and Wysolone are given. All these medicines have their own merits and demerits. The long term use causes side effects like gastritis, peptic ulcers, bone marrow depression, anemia, weakness and so on. Boswellia and Curcumin are the herbs who are scientifically studied for their role in Rheumatoid arthritis. They work like Disease modifying agents, immune-modulators rather than immunosuppresants and control the pain, swelling and inflammation quickly. The combination does not cause any side effects and is safe for long term use. According to Ayurveda, Rheumatoid arthritis is caused by “AMA” ( Endotoxins) which is accumulation of a toxic substance, which has nature of heavy, greasy, sticky things. The presence of Ama causes morning stiffness in joints, stiffness in the back, especially during morning hours which goes away as the sun rises. The leading cause of AMA formation is lack of digestive fire. The modern medicine is also concluding in the latest research papers that the basic cause of formation of auto-antibodies or the peptides for formation of antibodies to attack our own joints lies in the internal lining of small intestines. The leading cause of chronic indigestion. 2. Uses of Boswellia-Curcumin in Osteoarthritis – Since these 2 herbs are very good in controlling inflammation and that too without causing any side effects, their role for osteoarthritis is remarkable. They can be used in elderly patients without any fear of gastric symptoms. Some companies put Black pepper to enhance bioavailability but in my opinion, black pepper increases the fire energy of the body, increases formation of acid in the stomach and can cause acidity sometimes. So plain Boswellia-Curcumin without black pepper is what should be preferred for long term use. 3. Spondylitis, Sprains, Strains, Back ache, Knee pain, Muscle Pull, Tendonitis, sciatica, cervical spondylitis, ankylosing spondylitis , Psoriatic arthritis and other painful joint conditions - The combination of these 2 herbs is very effective in treatment of all the above mentioned problems. They work together to aid each other’s function and help to improve mobility. Curcumin is basically an active component found in the curry spice known as “TURMERIC”. This gives the color to the spice. Ayurveda – which is an ancient healthcare system of India, is using Turmeric since ages for its healing properties. 3. Anti-Biotic – Useful in many infections of upper respiratory tract, flu, cold, urinary tract and digestive system. 6. Joint Pains – Since it is a powerful anti-inflammatory herb, it’s very effective in all types of arthritis. Boswellia is commonly known as Shallaki. The resin of the plant is used to make standardized extract containing appropriate amount of active compounds called “Boswellic acids”. A lot of research has been done on these compounds for their role in controlling pain and reducing swelling, inflammation and arrest the spread of cancer. The combination Boswellia-Curcumin has become very popular nowadays. The reason is its efficacy because both the anti-inflammatory herbs are very well researched and have a rich supporting ( traditional as well as modern) literature to support their uses. Each Bottle Contains 60 Vag. caps. 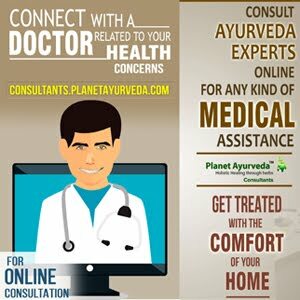 Planet Ayurveda is a GMP certified, ISO 9001:2008, US-FDA registered and a herbal export company based in Chandigarh, India. All the products are of high standards and are exported to various countries in each continent. The details can be checked at the main website . Planet Ayurveda Boswellia-Curcumin is free from chemicals, preservatives, yeast, fillers, steroids or anything unnatural. We use 100 % natural ingredients, standardized, free from pesticides, microbes or heavy metals. The long term use does not cause any side effects. 1 – 2 capsules twice daily, with warm water, after meals. Very good post. We can cure this by natural remedies.